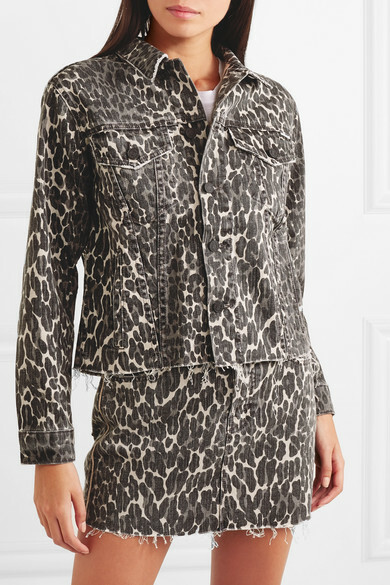 Designed to be worn with the matching skirt, Mother's 'The Cut Drifter' jacket fits right into this season's animal print trend. 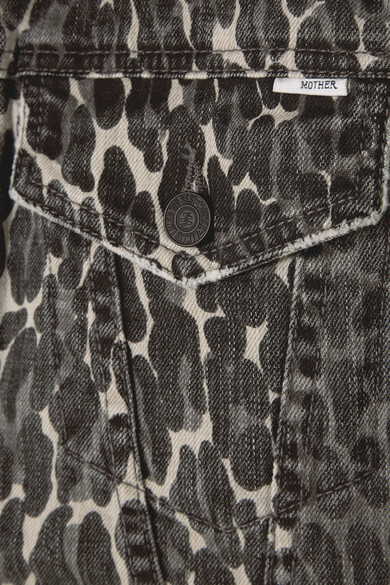 This denim piece is decorated with leopard spots and cut for a slightly loose fit to easily layer over T-shirts or chunky knits. The distressed edges make it feel especially cool. Shown here with: Acne Studios T-shirt, Loewe Shoulder bag, Alexander Wang Ankle boots.